The willingness and ability to imagine a different future is the most important quality we need to nourish in leaders today. 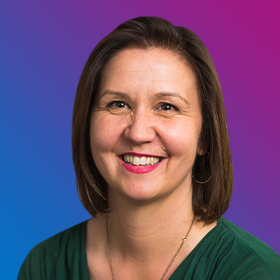 Louise is responsible for the company’s mission, programmes and commercial strategy, ensuring Volans has the biggest possible positive impact. 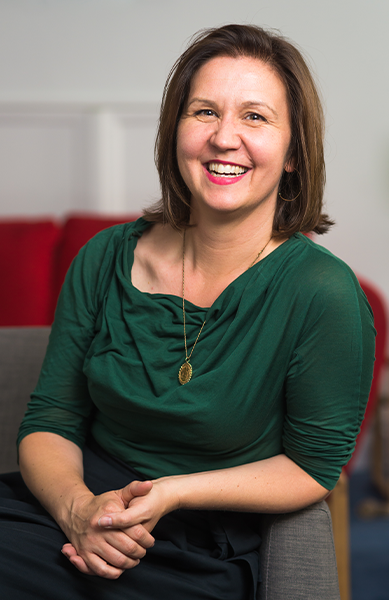 After leaving her native Denmark to study PPE at the University of Oxford, she started her career marketing ‘bleeding-edge’ software companies such as Cisco and Check Point Software Technologies in the 1990s, before more recently launching Cradle to Cradle and circular economy FMCG brands into Europe. Louise is a guest lecturer at both Cranfield University and the University of Exeter and part of the Ellen MacArthur Foundation’s CE100 network. She also mentors young change-makers via the Aspire Foundation and the Aspire Trailblazing Women network. A. Volans is very much about the people in and around this team and their dogged determination to accelerate us all to a better future. A. I have always wanted to change circumstances that weren’t right for the better. A. Eternal curiosity and a desire to be stretched by new challenges. A. When I can play a part in someone realising their own strength – seeing their own potential and how to act on it. That and dog walking early in the morning. A. I’d like everyone to be empowered and confident, knowing that they are enough – most problems ultimately stem from the insecurity and fear of individuals. A. Every day. Love, health and optimism. Family, my incredible network of supportive friends. Flossie. A. I am the one throwing a pebble in a pond. A ripplemaker.